It is very important that we as Nigerians have a full understanding and knowledge of what the Nigerian Senate stands for, these people have 80 per cent control of the direction of Nigeria. Secondly, you and I should know that, whether the president is of good character or not, the crop of senators we have will not allow the progress of this country. With that being said, Do you know how these senators are elected? 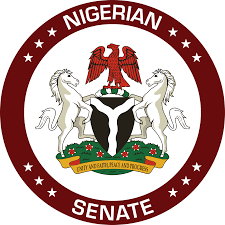 The Nigerian Senate represents the legislative branch in the country being the upper house of the National Assembly (shortly abbreviated as NASS). All the senators in Nigeria are 109 in number. This has been outlined in the country’s Constitution 19 years ago. Each of the 36 Nigerian states has three senatorial districts, and each one has to elect its own representative into the Senate. There is only one member of the Senate to represent the Federal Capital Territory. 3 years go the country elected its 109 senators in Nigeria till 2019. The current list of Nigerian senators represents the eighth National Assembly from 2015 to 2019. So, here is a of all the senators in Nigeria led by Bukola Abubakar Saraki (Senate President), (Kwara State) and his assistant Ike Ekweremadu.